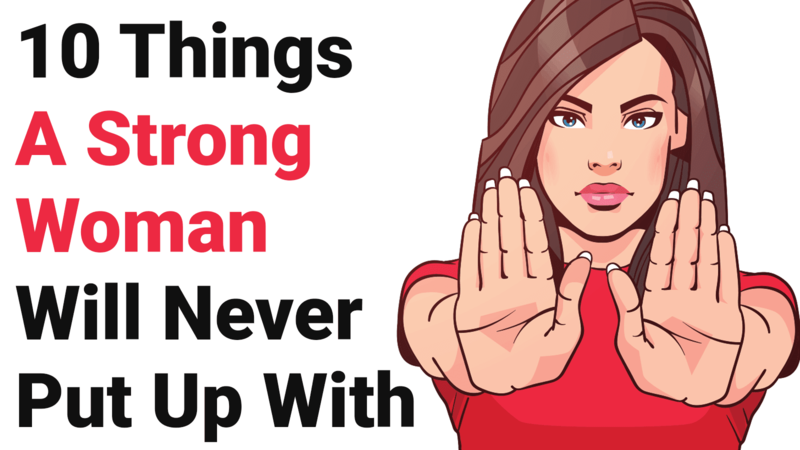 A strong woman will not put up with certain behaviors from friends, family, or her significant other. She does not think she’s better than anyone, but she has certain standards and won’t allow others to trample on them. All women are strong, but some may just not remember their power and influence as a woman. However, those who do acknowledge this power choose to only allow people into their life who respect and cherish them. It does not matter the nature of the disrespect; once you cross that line, a strong woman will not trust you or want your company any longer. Strong women want people in their lives who honor them and their opinions and don’t try to belittle them. They want to surround themselves with those who respect themselves as well, so respecting others will come much easier. If you don’t respect her or her beliefs, why should she keep you in her life? Obviously, strong women can govern themselves and their lives just fine. They don’t need a manager or boss to show them how to live and what moves to make. They trust themselves foremost to make decisions that will better their lives or further their chances at success. They don’t mean to act “holier than thou,” but they don’t appreciate other people trying to dictate their lives. A strong woman will never tolerate a person who only wants to control her and not nurture her. As long as you treat her as an equal rather than above or below you, all will be well in your relationship with this strong woman. Otherwise, she’ll show you to the door. She values equality and fairness above all else and just wants friends and a partner who can respect her. If she has given you clear boundaries and you repeatedly cross them, this won’t fly very well with her. Strong women know what they do and do not want in life, and they know their own limits. In your relationship with her, whatever it may be, you’ll learn what behaviors she’s comfortable with and which ones are off limits. For instance, she might tell you that she needs some space after a long week of work and responsibility. If you don’t give her that space and always want to hang out, she probably won’t stick around to give you time when she has it. She only keeps positive people in her inner circle, so if you constantly spew negativity and a poor attitude, a strong woman will not want to keep your company for long. She has built herself up over the years and crossed many hurdles, so she does not want anyone to drag her back down. To continue on the point made above, strong women only want people around who will support their goals and dreams. They have no time for the naysayers and Debbie Downers of the world; they’re far too busy building empires and chasing after their dreams. Researchers analyzing what creates feelings of well-being in relationships found that supportive relationships are less psychologically distressful while unsupportive relationships breed anxiety and fear. Which one of these relationships sounds more successful to you? Women thrive on emotional connections with others. In a study of women in lesbian relationships, most of the women wanted two things – clear communication of emotions with their partner and the freedom to make decisions independently. People in heterosexual relationships also report wanting these same things. In order to form a deep bond with you, a strong woman needs to feel that you are trustworthy. Strong women know what it’s like to be burned by relationships, so they don’t open up very easily. 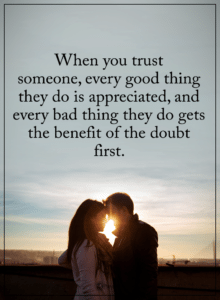 They’ll test the waters with you first to determine if they can trust you or not. However, once you’ve earned a strong woman’s trust, she will become an open book and a reliable friend. This mostly applies to romantic relationships because both partners need to be motivated to reach their goals in every aspect of life to keep the relationship afloat. If one person has the drive and determination to succeed while the other doesn’t believe in themselves and has a poor attitude, this will result in a one-way relationship. Strong women don’t allow themselves to be lazy, so they don’t want this quality in a partner, either. More than anything else, people want to feel heard and understood. If you interrupt a strong woman while she’s talking or continually put down her ideas, she won’t want to keep opening up the lines of communication. She listens to the person who’s talking to her, so she expects the same in return. Strong women know what they want in life and have a great amount of self-respect. They won’t allow anyone to come in and tear down their self-esteem, positive thinking, and work ethic. Strong women will only keep people in their circle who honor their greatness.